A Tom Stuart-Smith Ltd project. 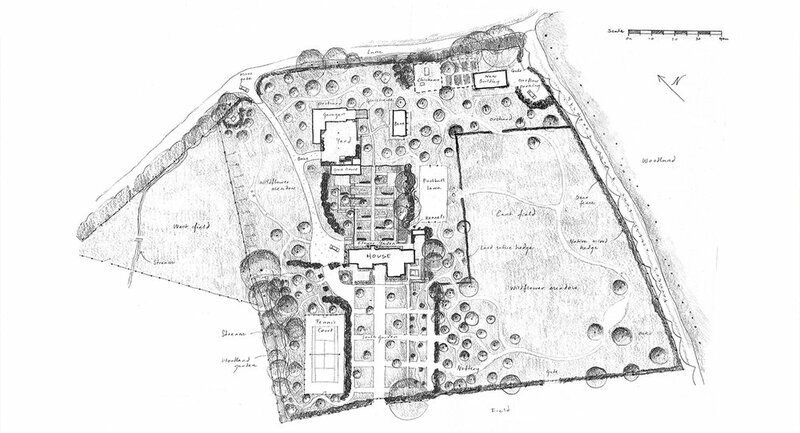 The brief was to create a new garden around a modest 18th century farmhouse and its surrounding outbuildings. The property lies at the base of the Downs on the West Berkshire/Hampshire border. This garden is made up of several areas with the most central focus being the flower garden between the house and outbuildings. 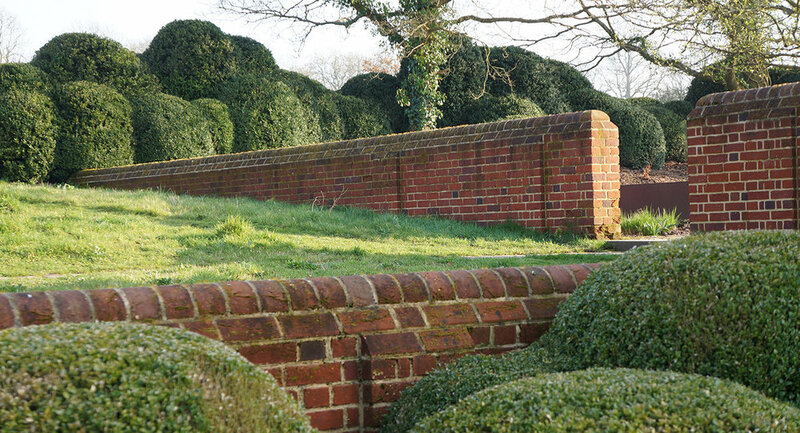 Corten water tanks and retaining walls were used and are reminiscent of the property’s previous use as a farm. Handmade brick walls reflect the architecture of the house and reclaimed stone paving brings a timelessness to the new garden. 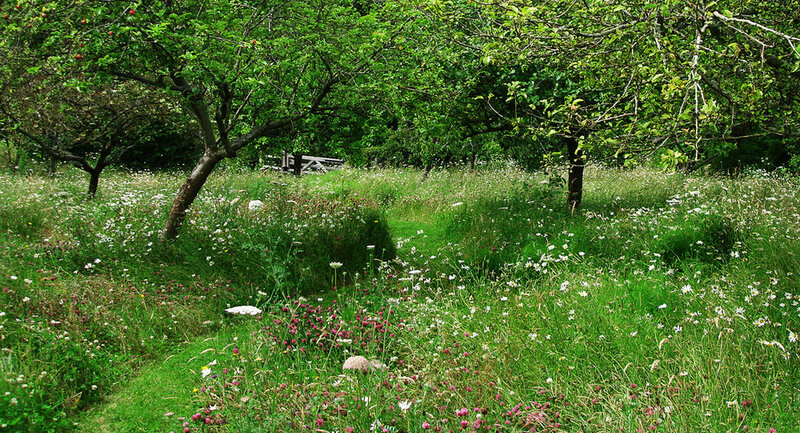 The south side of the house is a suntrap and the terrace looks out on a semi-formal garden where grid of lawn paths divide a wildflower meadow and scattered crab apples. 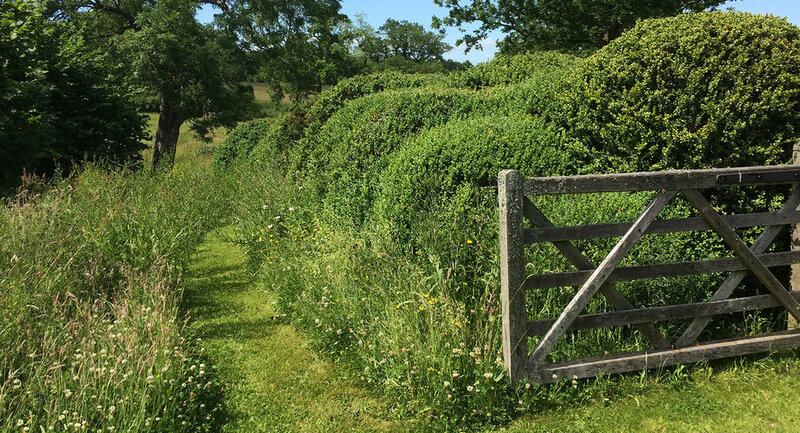 A gap in the perimeter hedgerow reveals the fields and hills beyond, while the east side is flanked by beehive shaped yew topiaries and the west by a cloud clipped box hedge that hides a sunken tennis court. 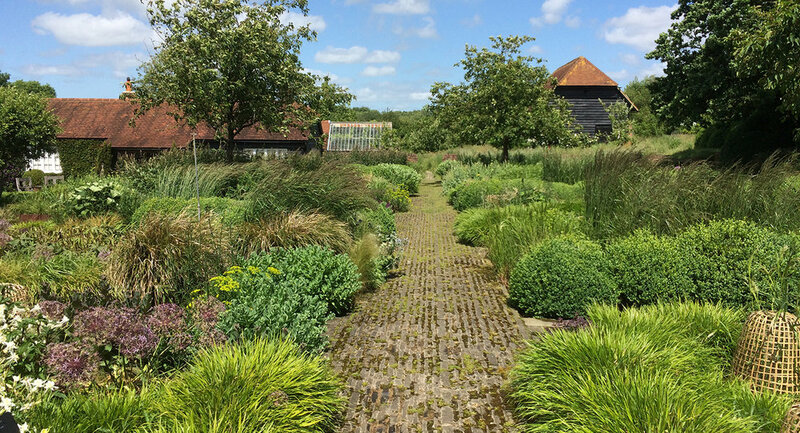 Other areas on the property include a woodland garden, wild flower meadows, orchards, a natural pond and a heated glasshouse, where exotics are grown for the house. 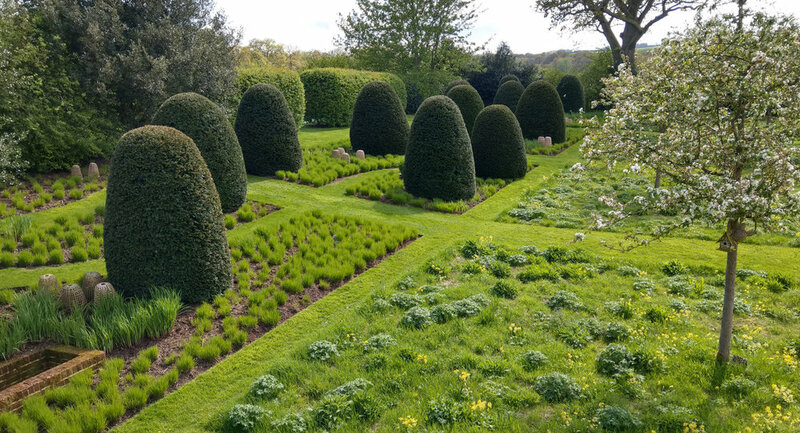 Photographs by Head Gardener Carl Garcia. More pictures of the garden can be viewed on Tom’s website.